*This article was updated to include information about a second sentence in the crime. News of the murder of journalist Jaime Garzón Forero on Aug. 13, 1999, shocked Colombia. At dawn that day, assassins ended Garzón’s life with five shots as he was driving in his car to the station Radionet where he worked. 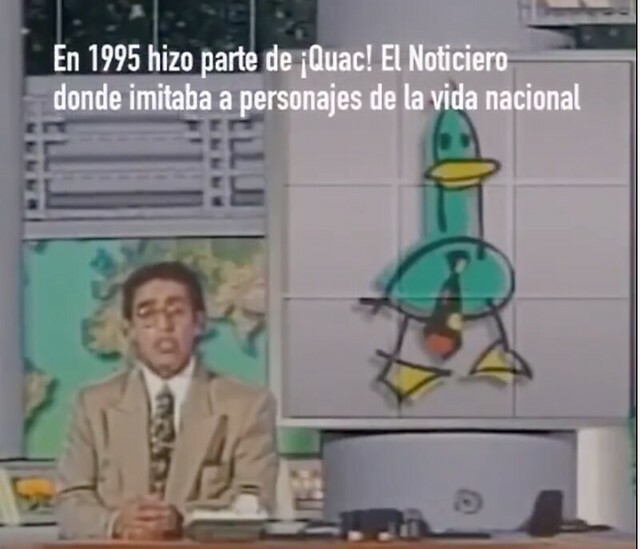 Although Colombia was living through the most violent times in its recent history, and even considering the threats he had received, it was difficult to imagine that such an icon of political humor and satire in the country could be killed. Garzón not only made Colombia laugh, but forced the country to think about its reality. Through his renowned programs 'Zoociedad' and ‘¡Quac!,’ and the characters he created and played on the show, he criticized –without any filters– everyone from government entities and its political class to armed groups, criminals and drug traffickers. Not even his fellow journalists were spared his criticism. His phrase is well remembered: "journalist, get your diploma," in criticism of the lack of preparation and education of communicators practicing their profession. His style brought him close to society. That's why millions of people mourned, while thousands of people gathered in Bogota's Plaza de Bolívar to give him a last goodbye. That same style, however, created enemies within the state and outside of it. Judicial investigations show how the military allied with paramilitary groups to assassinate him, reported the Foundation for Press Freedom (FLIP, for its acronym in Spanish) of Colombia. According to the investigation, the military members urged the leader of the paramilitary group Autodefensas Unidas de Colombia (AUC), Carlos Castaño, to kill the journalist, according to the site La FM. Precisely for this reason, in a ruling from Sept. 14, 2016, the State Council – the highest court that defines processes involving the State – declared his murder a "crime of the state" and forced Colombia, among other things, to pay compensation to his family, as well as carry out a public ceremony in which the Army commander and the Director of the National Police ask for pardon and accept their responsibility for the crime. Subsequently, the Attorney General's Office declared the murder "a crime against humanity, considering that the murder took place in a context of systematic violations of human rights and political persecution by the authorities against social leaders, leaders of the opposition and journalists," according to FLIP. With this decision, the crime was prevented from prescribing in one year when 20 years will have passed. These decisions, however, have not resulted in an end to impunity for his case, as his family and other organizations have denounced. Up to Aug. 13, 2018, only one person has been convicted for his murder in the years of investigation: Carlos Castaño, who was convicted as the mastermind. However at the time of his sentence, Castaño was already dead. In a decision on Aug. 14, 2018, the Seventh Criminal Specialized Judge of Bogota sentenced José Miguel Narváez, former deputy director of the now defunct intelligence agency DAS (Administrative Department of Security) to 30 years for the murder, El Espectador reporter. His trial began in 2011. "Colonel Jorge Eliécer Plazas Acevedo and retired army generals, Rito Alejo del Río and Mauricio Santoyo, were also linked to the case, accused of being the masterminds of the murder against the journalist," FLIP reported. The trial against retired Colonel Acevedo Plazas was suspended after the Garzón case was sent to the Special Jurisdiction for Peace on May 29, 2018, arguing that his crime occurred in the context of the armed conflict, LaFM reported. This transitional justice mechanism – approved after the signing of the peace agreement with the FARC guerrillas –must determine whether or not it has jurisdiction to hear this case, according to the FLIP. "Despite the decisions taken by the Attorney General's Office and the judicial instances in which the quality of Garzón as a journalist is recognized, the current prosecutor in charge of the investigation does not recognize it and dismisses that this murder could be a crime against freedom of expression,” the FLIP wrote. "It is FLIP's knowledge that the case remains unpunished as a result of attempts to divert and affect the course of the investigation." Garzón's family has refused to let his crime be forgotten. In 2001, it presented his case before the Inter-American Commission on Human Rights, also seeking justice, reported FLIP. In the last 18 years, it has also gone to the place where Garzón's car was on the day of the homicide to pay homage and demand justice, published El Espectador. This August 13, Jaime Garzón’s name was trending on Twitter in Colombia, where the hashtag #19AñosSinJaimeGarzón (19 Years Without Jaime Garzón) was also used. FLIP launched a call to look for people doing journalism in Colombia’s regions with humor and satire. For this, they are also using the hashtag #RevivamosElHumor (We Revive Humor).